Yoko Ono shared this photo of herself (back, center) with a group of artists who paid tribute to her on March 22 at Walt Disney Concert Hall. 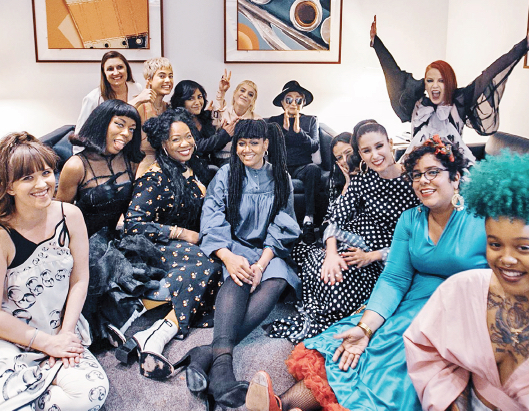 A new generation of female artists gathered March 22 to celebrate six decades of music and art by one of the most recognizable faces of the late 20th century at Walt Disney Concert Hall in Los Angeles. “BreatheWatchListenTouch: The Work and Music of Yoko Ono” included an eclectic group of musicians, including local pop artist Miya Folick.